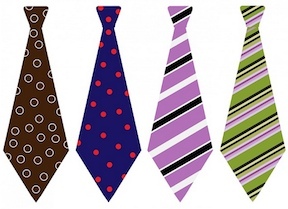 Welcome to H3 Maths » Blog Archive » We study math because of neck-ties! “One thing that frustrates me as an academic (physicist to be specific) is the question “Well what use is studying all this?” I get this kind of question all the time…Is there any use most of what we as humans do? Is windsurfing useful? How about neck-ties, or paintings, or music? Where you may see uselessness, I see wonder. Why do the natural numbers, perhaps the most elementary objects in our mind have so much complexity. We study things like the primes because there are questions, and where there are questions there will be those that seek answers, for nothing more than the thrill of answering them. As JFK said “We do these things not because they are easy, but because they are hard” , because we have a primal instinct, a curiosity, a insatiable drive for answers to questions the universe has seemingly offered to us. by James posted under Uncategorized | Comments Off on We study math because of neck-ties!